Welcome to the new location of my Knit Fabric Glossary. I'll be focusing primarily on terms you may come across, if you work with sweater knits. Many of the terms, however, will pertain to any weight of knit fabric. If you'd like a definition for a word that hasn't been added yet, please ask in the comments. If I don't know the answer, I'll try to find out. If you see something that needs to be corrected, please contact me. Thanks! I hope that people who love fabric will find this helpful. Click on photos for the enlarged view. Band -- A strip of fabric that extends and finishes an edge of a garment makes a banded edge. 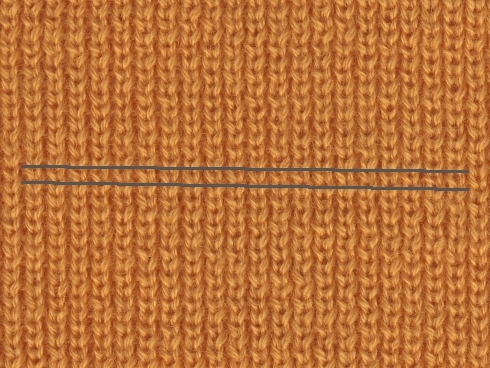 The band is often a rib or very stretchy jersey fabric, and is usually used at the neck, sleeve, or bottom edges of sweaters. Binding -- A strip of fabric that encases the edge of a garment creating a finished bound edge. Binding can be used instead of a band. Rib fabrics and jerseys with adequate stretch make good bindings on sweater knit fabrics. Course -- A horizontal row of knit and/or purl stitches. A single course is between the grey lines. Double knit -- A very stable, balanced rib fabric that looks like two jersey fabrics glued together, though it's not constructed that way at all. The double knits of the 70s gave the category a bad rep, because they were made of polyester, but there are many gorgeous double knits being produced today. The example below is 100% merino wool. This may look like a jersey, but the reverse looks exactly the same; it's a double knit 1x1 rib fabric. If you were to give it a good stretch sideways, you'd see the ribs. Facing -- A facing is a partial lining which finishes the raw edge of a garment. 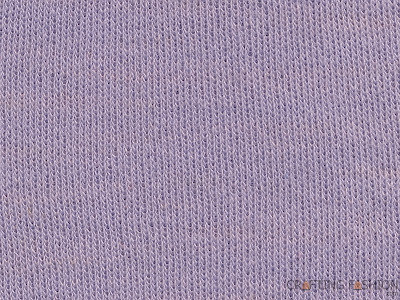 It will often add stability to a knit fabric, especially if the facing is interfaced or if a woven fabric is used. Like the facing used in dressmaking, it follows the shape of the garment. It's sewn to the garment right sides together, then turned to the inside of the garment. 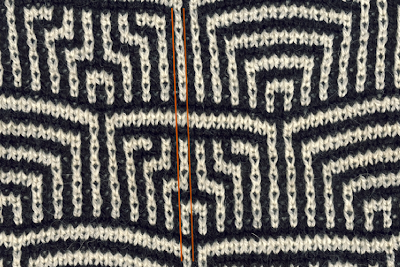 Intarsia -- A type of jersey fabric with two of more colors in a horizontal row of stitches but no floats carried on the back of the fabric. 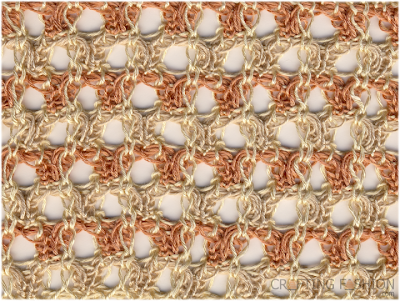 There is no way to know that this is an interlock knit just by looking at this picture! 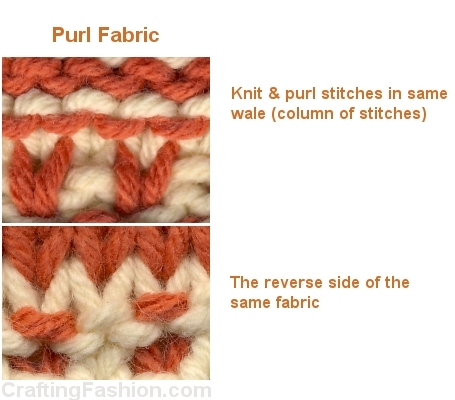 Openwork -- Term used to describe a structure of fabric where holes or openings are used as a design element. 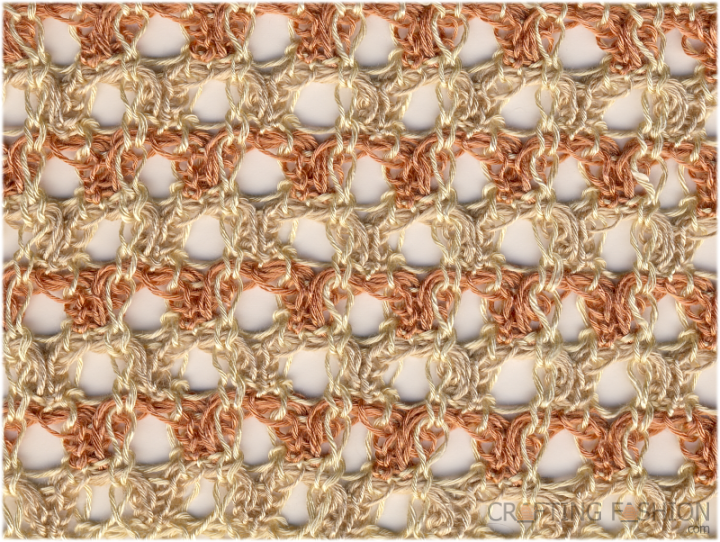 Besides knits, openwork fabric can be crochet, woven, or non-woven. 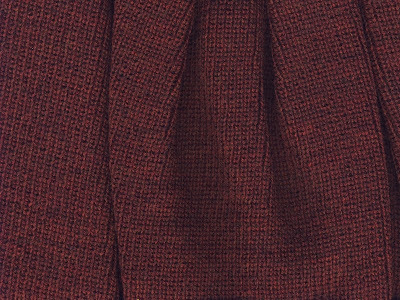 Recovery -- The ability of a knit fabric to return to its original size after being stretched. This quality is usually determined by fiber and/or stitch size. A fabric which readily returns to its original size after stretching is said to have good recovery. 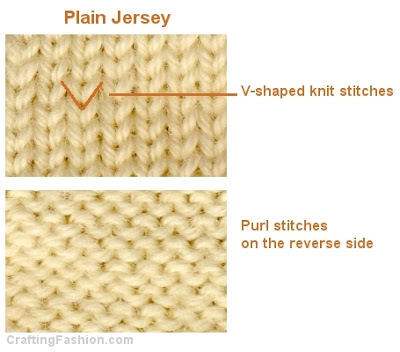 Rib fabrics -- Each wale (column of stitches) has either knit stitches and no purl stitches, or it has purl stitches and no knit stitches. 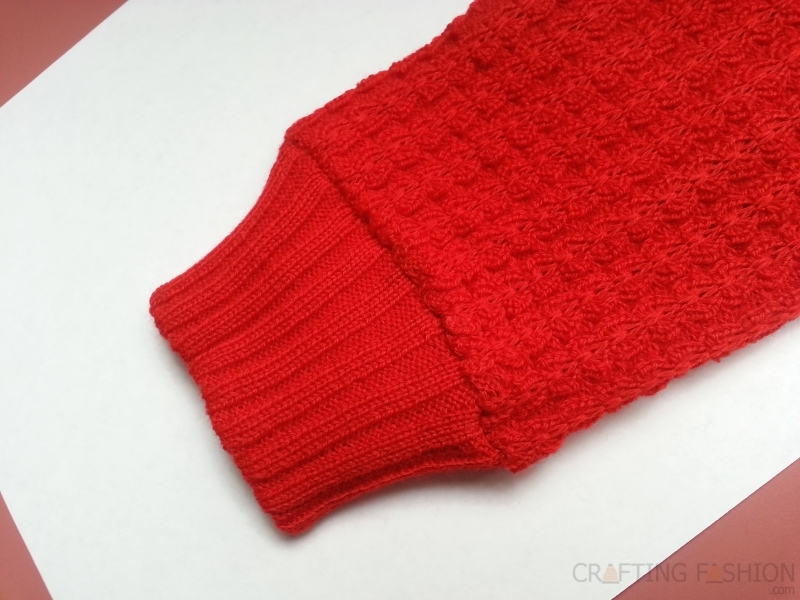 Sweater cuffs are often, but not always, rib fabrics. Double knits also fit into this category, though it may be hard to see the actual ribs unless you stretch the fabric. Balanced rib fabrics do not roll at the edges. 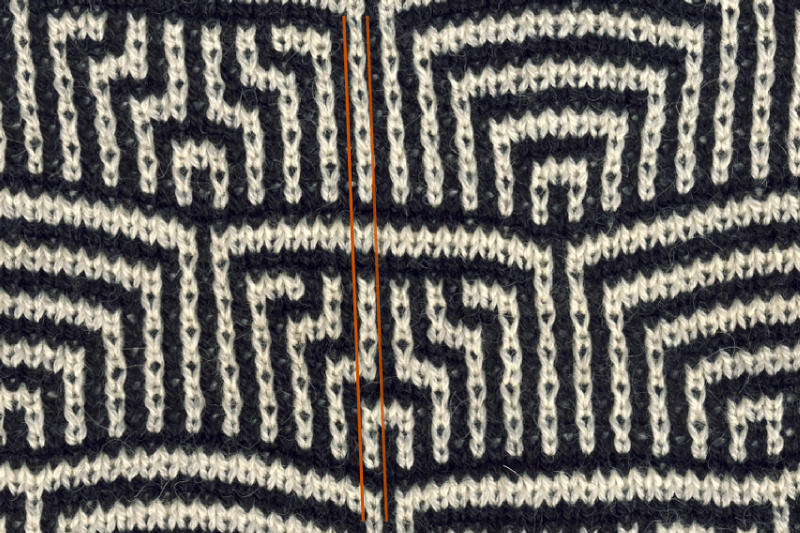 Wale -- A vertical column of stitches that is parallel to the selvage (when knitted on a flat knitting machine). A single wale in this fabric has both black and white stitches. Warp knit fabrics are made on machines with the yarn travelling primarily in a vertical direction. 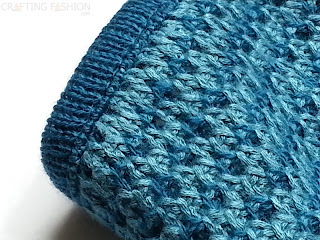 Tricot is one example of a warp knit fabric. Weft knit fabrics are made on machines where the yarn follows primarily a horizontal path. 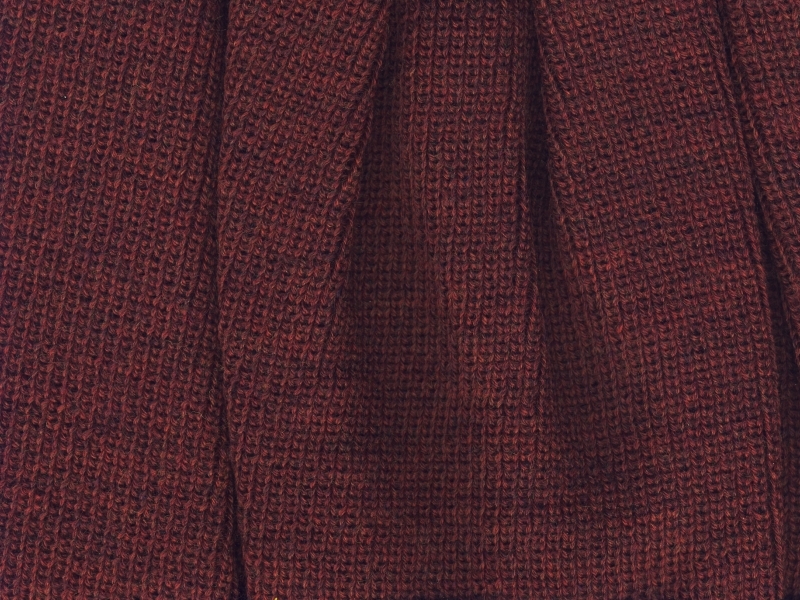 Example of a weft knit fabric (Credit: Wikimedia Commons), the red yarn indicates on "course" of the fabric. 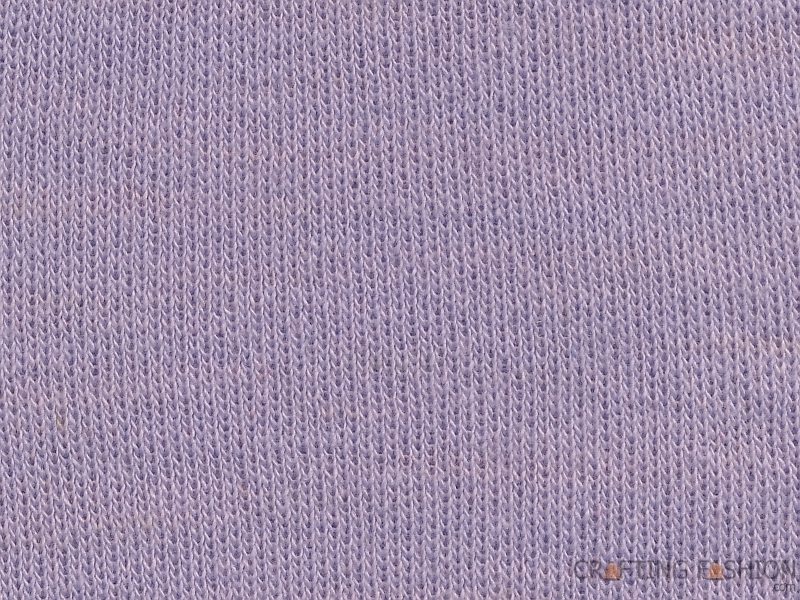 Whole Garment Knitting (Also "Seamless Knitting" and "Knit&wear") -- A way of manufacturing knitted garments on specially designed, advanced industrial knitting machines by Shima Seiki, Santoni, and Stoll, respectively. The garment is created in one piece without seams with this method. Hand knitters who create garments totally on circular needles do a hand crafted version of this. argyle, intarsia, cast-on, cast-off, linking, plaited... ;) good words to include in your awesome glossary. Thanks for compiling this! All great candidates, Hada! I'm not sure I'll include cast-on, cast-off, and linking, since they're terms a sewist may not come across, but the others will be added. I appreciate your suggestions!